Friday, October 10 | 7:30 p.m.
tones of nature: pure and fresh as well as twisted and sinister. Max Schreck cut such an indelible figure as the angular Count Orlok that his bald bulbous head, ghastly fangs and talon-like fingers have been paid homage in the ensuing decades from such disparate admirers as German auteur Werner Herzog (Nosferatu the Vampyre, also screening tonight), British pop group Queen (in the "Under Pressure" music video), and Kiwi comedians Jemaine Clement and Taika Waititi (in the new vampire mockumentary What We Do in the Shadows). 1922, 81 minutes, black and white, DCP | Directed by F.W. Murnau; written by Henrik Galeen, based on the novel Dracula by Bram Stoker; with Max Schreck, Gustav v. Wanghenheim, Greta Schroeder, G.H. Schnell, Ruth Landshoff, Gustav Botz. Friday, October 10 | 9:00 p.m.
intended, the self-sacrificing Lucy, and Bruno Ganz (Wings of Desire, Downfall) is the hero Jonathan. Herzog demonstrated that the striking, black-and-white imagery of Murnau’s masterpiece could be just as evocative when translated to contemporary color cinema. Herzog shot both English- and German-language versions of his Nosferatu, but ultimately it was the German edition that was released in the United States, and that is the one the Academy will screen at the Bing. 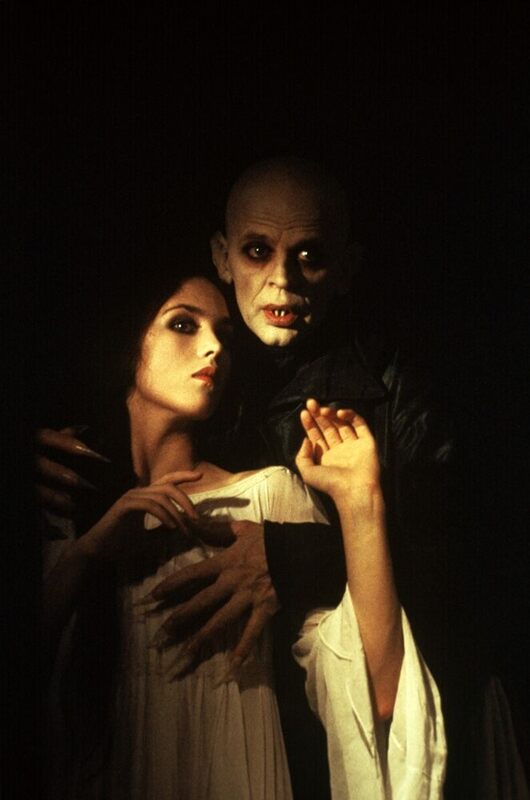 1979, 107 minutes, color, DCP | Written and directed by Werner Herzog, based on the character Dracula created by Bram Stoker; with Klaus Kinski, Isabelle Adjani, Bruno Ganz, Roland Topor, Walter Ladengast.